Earlier this week I talked about how companies that have continued to invest in their channel despite the down economy have wisely adopted a big-picture attitude in the face of potential cost-cutting decisions. I’d like to point to IBM as one example of a company who has evolved into a leader of channel dynamics, the very same dynamics that are promoted daily here at Move The Channel. This is the new foundation for IBM’s channel strategy, along with its more than 130,000 business partners worldwide. Think they might be onto something? In a down economy, a company’s first instinct is to cut back. And the “soft side” of business – including channel incentive programs – is often the first to be slashed. But when you cut your incentive programs, you are sacrificing your future and missing a HUGE opportunity. That’s why more and more companies are choosing to step up channel incentive strategies in the tough times, rather than stepping away from it. The ones that stepped up their channel incentive programs 5 years ago have taken market share and increased loyalty. I’m not saying it’s too late. It’s never too late to invest in your channel wisely. Remember channel incentive aren’t soft, they’re smart. I love to move the needle! There is nothing quite like guiding your business partner to achieving new heights while triumphing record highs for your own organization. Sure it’s great to hit your bonus and impress the company’s shareholders but helping your partner organizations, hundreds of them, do the same is whole new level of fulfillment. Over the past 15 years, I have specialized in Channel Incentive Programs and multi-tier distribution business strategies. My many experiences working with manufacturers, distributors, and resellers have given me a unique perspective and understanding of what drives and motivates channel partners. Through these experiences I’ve developed a passion for moving products and services through distribution channels and helping clients design, implement, and administer B2B customer loyalty/growth strategies. When I’m not designing channel incentive programs for my clients or blogging on MoveTheChannel.com, I’m maximizing time with my Wife and two boys. I still get on the hardwood twice a week and love planning fishing trips with my 4 brothers. Thanks for being a part of Move the Channel! Channel Incentives must be focused on the right behaviors. Our partners want to make us happy and to be recognized for being an import piece our strategies. Yes we do a good job of telling them what their yearly growth goal is or what it’s going to take for them to achieve “Gold” status. Don’t get me wrong these are important behavior to define and recognize. After many years in the Channel incentives industry, I still get asked the same questions over and over. Though I could fill many pages with those questions and their answers, two of the most fundamental questions are: 1). Which rewards are the most motivating? and 2). Which rewards are the most popular? The first question has a range of responses and varies based on target audience, length of program, etc. and is far too complicated for a blog post (although if you’re interested in the cash vs. non-cash awards debate click here to read a blog post by my colleague Matt Slane). #1 – Electronics – 12% of program participants choose electronics, and Apple products are leading the way. #2 – Housewares – 11% of program participants are choosing housewares, with Alclad pots and pans at the top of the list. #3 – Toys & Games – these pick up even further around the holidays, but about 8% of redemptions are for toys and games. #1 – Real-Time Hotel Bookings – Orlando, San Diego, and New York are the top domestic destinations. #2 – Travel Packages and Vacations – particularly all-inclusive trips to destinations like the Caribbean, Mexico, and Hawaii. #3 – Sporting Events – though summer is a great time for things like baseball games, this summer there is a rise in not only travel to London, but requests for tickets to Olympic events. #4 – Concerts – many participants are redeeming tickets for Justin Bieber, Bruce Springsteen, and more. 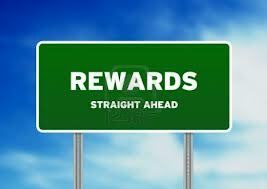 Many of my clients want to select the “hot” product and build a promotion around the reward. Themes featuring certain products can be very successful, but they do have a shelf life. Remember, even the most popular category (electronics) only accounts for 12% of redemptions. My advice is you can feature certain products, but don’t try and guess what motivates your customers. Let them make that decision!